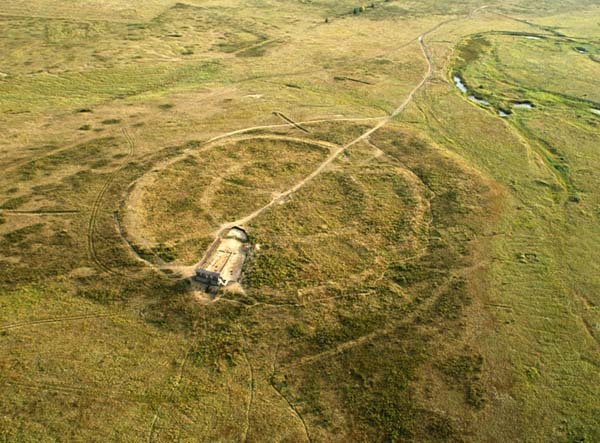 "Arkaim (Russian: Аркаим) is an archaeological site situated in the Southern Urals steppe, 8.2 kilometres (5.1 mi) north-to-northwest of the village of Amurskiy and 2.3 km (1.4 mi) south-to-southeast of the village of Alexandrovskiy, in the Chelyabinsk Oblast, Russia, just to the north from the Kazakhstan border. . . . Since its discovery, Arkaim has attracted public and media attention in Russia, from a broad range of the population, including a significant number of esoteric, New Age and pseudoscientific organizations."